Gaza City (Palestinian Territories) (AFP) - Israel has barred 10 Palestinian footballers from travelling from Gaza to the occupied West Bank to play in Friday's Palestine Cup final second leg, their club said. Shabaab Rafah are 2-0 up against Ahly al-Khalil of Hebron from Tuesday's first leg in Gaza City but only 15 members of their squad are being allowed to travel for the return leg, club president Khaled Kwaik told AFP. Those missing include a striker and two of the club's three goalkeepers. "Banning the goalkeepers will negatively affect the team's performance in the event of an injury to the (remaining) keeper," Kwaik said. COGAT, the Israeli defence ministry agency responsible for civilian affairs in the Palestinian territories, said the ban was for "security reasons" compounded by the late submission of paperwork. "The request of the soccer players was received near the date of their departure," a COGAT statement said. But "their original request had been placed on the Palestinian side during the month of June," it said, implying that the delay was a deliberate effort to make Israel look bad. Despite the bans, the rare game between teams from the Gaza Strip and the West Bank will go ahead on Friday, the Palestinian Football Association said. The two territories are separated by Israel, and Palestinians looking to travel between them must apply for permits from the Jewish state. 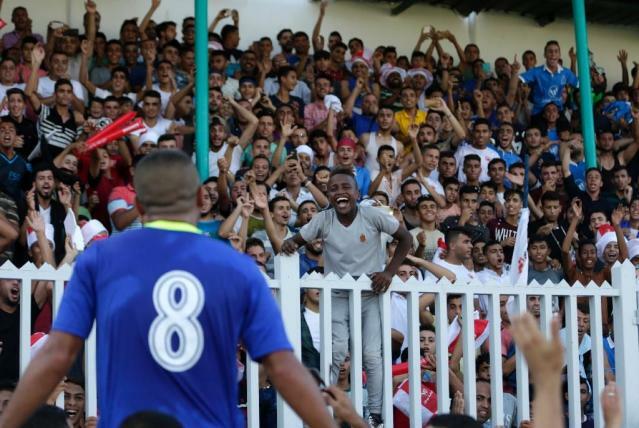 West Bank and Gaza teams play in separate leagues, with the winners contesting the cup. The cup was stopped for 15 years largely due to problems with Israeli permits, but restarted in 2015 after world football governing body FIFA intervened.